It's for 136kph in an 80kph, which is then reduced to 130kph due to adjustments. Fine is 2700CHF, approx £2050. No salary was given etc. Google Translate normally does a pretty good job. Make sure you type in any accents/punctuation. Your options are pay it or don't pay it. If you don't pay it and go to Switzerland again, bear in mind they have very long memories there and will treat an unpaid fine very seriously if they catch you. They do not have any way of collecting the fine from you in the UK if you don't pay, but they will threaten you will all sorts of scary-sounding stuff. There is also no obligation to reply to their request for driver detail, too late now. Everyone charged with a criminal offence has the following minimum rights: (a) to be informed promptly, in a language which he understands and in detail, of the nature and cause of the accusation against him;..."
Did the first letter inform you in detail of the accusation? 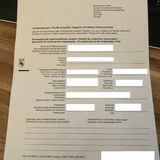 It may be worthwhile for you to post a copy on here, with your personal details redacted. Even if the first letter discharged the "detailed accusation" requirement, the second letter may or may not specify how the penalty is calculated, and it may or may not explain how you can challenge it, we have no idea. If you have not been informed in a language you understand how you may seek a public hearing by an independent and impartial tribunal established by law , it is arguable that the prosecuting authority has breached your article 6 rights. There is no burden on the accused to go and use Google Translate or any other translation service (and given the precision of language that is required for legal proceedings, this is plainly not going to be an acceptable solution in any event). I believe Italy had quite a few problems with their fines being invalid because they would only send the letter in Italian, eventually they fixed that, but for once it looks like the Swiss are yet to catch up. The OP can either comply, ask for a court trial or file the document in the bin with a risk of challenge at Swiss immigration. I doubt the Swiss will be scanning passports for unpaid fines. Then again you never know. This leaves comply with the fine or risk a small chance of refusal of entry to the non-member EU state of perforated cheese by filing it in the bin. Is speeding a criminal offence in Switzerland? The specific Article 6 requirements only appear to apply to criminal offences, though the "fair and public hearing" part would still apply. 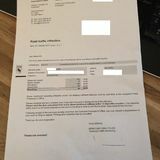 I know Swiss speeding fines are eye-watering, but unless I was certain that I wasn't guilty I might consider paying it. On the other paw, an excuse to avoid Switzerland could be considered beneficial? Is speeding a criminal offence in Switzerland? Yes, but let's not forget they are not in the EU either, so there's little they can do other than threaten as long as they don't catch you in their territory. Article 6 often comes up when these situations are discussed. Show us a case. True. But they are signatories to the ECHR. As matter of curiosity, have you been flashed driving a GB registered vehicle or a local hire vehicle? "Criminal offence" is pretty clear under English law. Are there ECHR cases applying the protections outlined in Article 6 to non-criminal penalties (e.g., LEZ penalties and congestion charges)? It's a GB registered car, this is the original letter, I will photograph the latest one tonight. categorisations employed by the national legal systems of the member States (Adolf v. Austria, § 30). “criminal charge” and had the right to remain silent (Brusco v. France, §§ 46-50). with the object and purpose of the Convention (Öztürk v. Germany, § 49). disqualifications (Lutz v. Germany, § 182; Schmautzer v. Austria; Malige v. France);"
Regardless of the classification under Swiss law, the amount demanded of the OP is plainly penal in nature (The Swiss letter even says as much) so as to engage the criminal limb of article 6. We can debate whether technically the Swiss can collect a fine from a UK resident or not, but unless there has been an actual case I am very sceptical it would ever happen. It's worth pointing out that, as a member of the Schengen area, there are no border controls when driving into Switzerland, you just drive in. There seems to be broad agreement on here that there is no mechanism, not even a hypothetical one, that could be employed to collect such a fine. The issue is more down to whether the OP plans on returning to Switzerland, and if so what the risk is of him just happening to come to the attention of law enforcement. Although there are no border controls, if he were ever to be pulled over for whatever reason by the Swiss police, for example for a routine document check, the unpaid fine might come up. Indeed and I should add I have been in the same position as the OP, for a potentially greater penalty, and chose to ignore all correspondence. The difference in my case is that I was in a rental car and I did not reply any of the letters. >3 years after the alleged offence and having received a few threatening letters, they seem to have given up. I have no reason to visit Switzerland again any time soon but if I had to, as long as I didn't come to the attention of the Police and entered the country via France etc. I think I'd be OK. In the OP's position I'd give it much more thought and would most probably pay as once you've admitted guilt I suspect they'll be like a dog with a bone. You'd get letters telling you to expect 5 years in prison etc. etc. It's quite a nice place, apart from all that. How have the Swiss authorities traced the OP?  Do the DVLA sell vehicle Registered Keeper details to foreign states? (e)by any person who can show to the satisfaction of the Secretary of State that he has reasonable cause for wanting the particulars to be made available to him. It's not a big stretch to see that pursuing an alleged speeding offence is "reasonable cause", on that basis the DVLA have made registered keeper details available to foreign prosecutors for years, this is nothing new. I would have to agree. Thank you for providing that. Now that you've put your hand up, your choices are limited to paying it, ignoring it or fighting it. Paying it is always an option, and ignoring it is discussed above. However, you would be within your rights (guaranteed by the ECHR) to demand a "fair trial" meeting all of the requirements of Article 6 thereof. But because it would be somewhat insane for a UK driver to actually go through with a full, in-person hearing in Switzerland regarding a speeding ticket, the Swiss authorities are probably not prepared to facilitate it. If you chose to have your day in court, you would have to carefully examine what the speeding ticket appeals process in Switzerland ordinarily involves, with view to determining if that process (as applied to you, a non-German speaking foreign resident driver) was (a) being fully complied with and (b) in full compliance with Article 6. Unfortunately, only a Swiss lawyer (or a Swiss PePiPoo) could properly do this, but as I mentioned above, given the relative lack of importance of actually prosecuting such an offence against a foreign driver, the Swiss may not bother to even attempt full compliance. If it becomes clear that this is their decision, you would be under no moral or legal obligation to proceed. Practically, however, you would be in the same position vis-a-vis visiting Switzerland (for an as-yet-undetermined period) as you would be if you chose to ignore it.